Once you finish your round our Club house all you can to refresh yourself after a stellar round. Our Bar includes Brews from our Local Brewery plus all your favorites, Soft Drinks and Juices and our kitchen can cook up a ripper Chicken Schnitzel Burger! 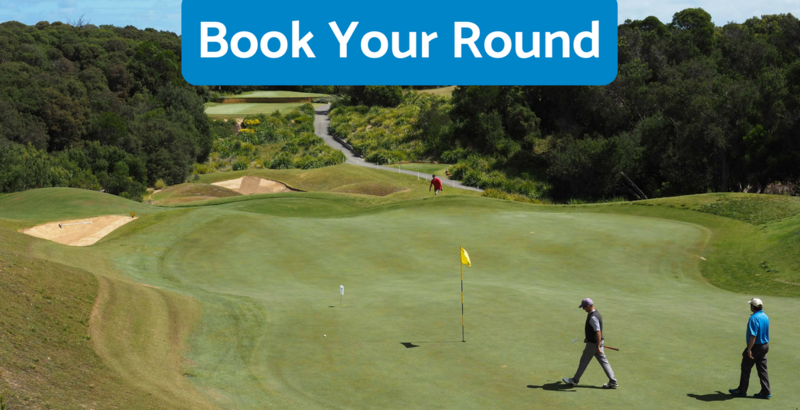 If you would prefer to book your round by phone, please call the Golf Shop on (03) 5988 2500. Our Quick18 tee-sheet booking system is fast and easy to book your next round. Immediately, you can see all the green fees available to you at a glance! Depending on the time of year, day of the week, and even the time of day prices may vary. Remember, the best prices are always online. Our online bookings system is easy to use, watch this video to find out how or just give it a go! Please arrive at least 15 minutes prior to your tee-off time to allow for check-in. Where you book for less than 4 players you may be partnered with other groups. Cancellations are permitted more than 24 hours prior to your tee-time, call the Golf Shop on (03) 5988 2500. Tee times purchased inside of 24 hours from the time of play are non-refundable.